In light of the inevitable fluctuations of the world's capital markets, how can investors reach their goals and minimize volatility? That's a question that I deal with every day. I believe the answers come from four key pillars of wealth management. I strive to develop a deep understanding of my clients to help them with the difficult questions they face about their financial future. When can I safely retire? How much will my capital be worth after inflation? What will I be able to leave to my loved ones? Are my charitable goals achievable? Recognizing that there are emotional as well as financial aspects to the complex decisions clients make, I approach wealth management with both in mind. Charting the proper financial course requires consideration of both financial objectives and individual aspirations to steer toward the success of the investor's overall objectives. It can be challenging to stay committed to a diversified portfolio. The euphoria of a positive market or the anxiety of a difficult one can drive many investors to make changes shaped by a short-term point of view. Focusing on risk-adjusted returns through a disciplined investment process helps guard against emotional decision making without sacrificing long-term potential growth. Combining investments that perform differently can produce more return in relation to risk. Effective diversification involves more than buying a collection of different securities and markets. By looking beyond traditional asset classes to help manage volatility, a portfolio should move more steadily over the years, which can be good for long-term growth of wealth. Money and wealth are deeply personal. When a client chooses to work with me, I understand that they are sharing their deepest goals and aspirations. Entrusting me with your financial affairs is a responsibility that requires empathy and a duty of care. I’m committed to serve my clients' best interests. As a member of TD Wealth Private Investment Counsel, I work with a talented group of colleagues to provide clients with access to an array of expertise and resources of the TD Wealth and TD Bank Group teams. I create fully integrated and comprehensive strategies for clients, by providing the appropriate specialists to apply their specialized knowledge to a particular situation. This can range from tax management, to estate planning, and to credit and insurance needs. By combining my accounting, finance, and tax knowledge I’m able to help educate clients and demystify the complex process of capital growth and retirement planning. Applying TD Wealth’s allocation process brings deep analysis and insight to design wealth and lifestyle capital plans. I believe that by evaluating retirement variables (market dynamics, economics, and taxation), we can deliver tailored strategies that my clients understand and commit to. I feel that this discipline helps increase the likelihood of achieving wealth goals. 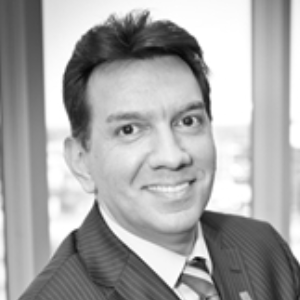 Victor has over 20 years of financial experience in banking, wealth management, tax and accounting. During his career at TD, Victor developed TD's Exchange Traded Fund products and currently delivers investment solutions to high net worth clients. Prior to joining TD, Victor gained extensive tax and accounting experience at PricewaterhouseCoopers (PwC). In addition, he acquired international investment and corporate finance experience while working for large offshore banks and insurance firms in Bermuda. Victor holds the Chartered Financial Analyst (CFA) designation from the CFA Institute. He obtained the Chartered Professional Accountant (CPA) designation and is a member of the Institute of Chartered Accountants of Ontario. Victor also holds the U.S. Certified Public Accountant (CPA) designation from the Illinois Board of Examiners. He holds his Ontario Life Insurance License, and incorporates this into his holistic wealth advisory solutions for his clients. Victor earned his Bachelor of Business Administration (BBA) honours degree from the Schulich School of Business at York University. Nathan has over 6 years of wealth management and financial services experience and joined TD Wealth Private Investment Counsel in 2015. He holds an Honors Bachelor's degree, Major in Economics from The University of Ottawa and is currently a level 2 candidate in the CFA program. Nathan has successfully completed the Canadian Securities Course.